If you’ve been hanging around Ask Harriette land for a while now, you might recall the famous ‘Light Tour’ in which I embarked on a six week journey around the world, making 17 stops, to share with the world the Universal Law, the Incarnation Intentions, and ‘Light Consciousness’. And whilst all of this might sound insanely woo-woo and off the wall, it’s not as far-out as you first might think. In fact, this knowledge has been around since the dawn of time, and despite not being mainstream for the last 3000 years, it has had its surges in popularity from time to time… especially around the time of Yeshua (or some of you might know him as Jesus… magical dude who woke loads of people up and then was crucified for being too “out there”). Fortunately being “out there” and a touch too “woo woo” doesn’t land you on a bonfire or a crucifix these days (we can thank some semblance of Light Consciousness for that), so let’s indulge in a little alternative thinking shall we?! 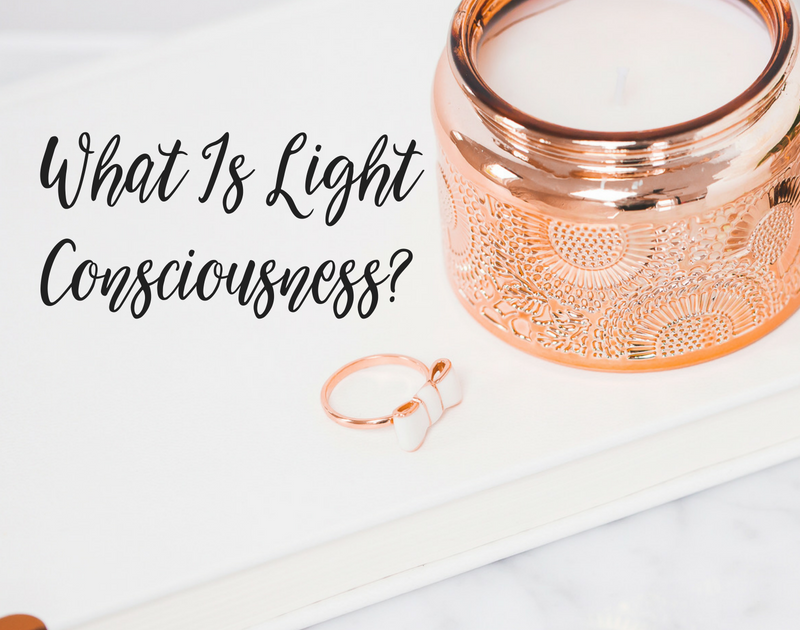 So what do I mean by Light Consciousness? Okay. So, when I say light, I mean love. I mean God. I mean Divinity. I mean Universe. I mean Source energy. I mean any form of cosmic parent. So that’s what I mean by the ‘Light’ bit, and I refer to it as Light because, as Priestess of Light, I work with the Light grids, and it’s the Light grids that connect us to Source energy or to Light. So we are all connected to Light by a gridded framework, just like an electricity framework, and Light is energy, just like electricity. It needs a grid, a framework, to work within. So when I say Light, I literally just mean the purest form of energy and the energy board which connects it all together. The Source energy, the Universal energy, the cosmic parent, Divine energy. That’s what I mean by Light. To clarify “cosmic parent”… as in God, Buddha, Allah, whichever kind of superior, Divine person or God/Goddess you might worship. Because as much as I’m not religious, I do appreciate many people are religious, so whoever your cosmic parent is, whether that’s the Universe or God or something else, that’s what I mean by Light. It is the purest, highest form of energy that you can relate to. By Consciousness, what I mean is the state of being in which we are fully awake, enlightened, and experiencing the Aquarian age and the shift of the energetic frequency that’s happening right now in the planet. And by Consciousness, I mean awareness of self, awareness of all emotions, all feelings, all activity, almost from a third person perspective. So the “other” perspective, as I’ve mentioned in previous trainings. By Consciousness, I also mean an awareness without judgment of other people, of other people’s emotions, experiences, behaviour, presentations, and projections, and I also mean a Consciousness and an awareness and an understanding and a deep, intimate connection to the Earth energies as well. To the animals, to the plants, to the trees, to pollution, to all the problems that infiltrate the collective and all the benefits that come from the collective of planet earth. And also by Consciousness, I mean a connection to the Divine. So Consciousness is 4 elements. It’s self, it’s other, it’s earth, and it’s Divinity. So when you are truly Light Conscious, you have Divine, Light-gridded connection to self, to other, to earth, and to Divinity. And you have this connection and this awareness without judgment, without fear, without critique, without blame, and this conscious connection is with compassion. It is with curiosity. It is with understanding, where understanding is relevant. But ultimately, the key to Light Consciousness is presence. So this is what I mean by being truly Light Conscious. You are present. You are present in a moment that eludes all time-space reality, that exists outside of a time-space reality. So when I choose to be in my Light Consciousness, I am simply in presence. I am present. I am present and aware of all the energies that exist within me. I am present and aware of all the emotions that run through me. I am present and aware and conscious to my environment, my surroundings, and the energies of those that stand before me, and I have no judgment, no critique. I almost have a neutrality and a compassion towards myself and others, the Earth that we stand on, and the divinity that surrounds us. I am truly present. I am Light Conscious. And from this present state, you are at one with the Universe, with self, with Earth, and with All. And when you are at one with all, you become all. And from this place, anything is possible. So when you are truly Light Conscious, you can co-create. You can live in abundance. You can alchemise at will. You can recognise and practice morality. You can change lives. You can impact lives. You can be purposeful. You can walk your Soul path. You can walk truly with the Divine, and you do all of this in a moment that exists outside of space and time. Time becomes a nonissue. Emotions become a guidance system rather than a hindrance. Other people become a blessing rather than obstructions. The earth becomes a facilitator, and Divinity becomes your parent and your divine protector. And so, can you imagine, from this place, how easy it is to simply exist in all that you are, all that you have been, and all that you will be? And it’s from this place that you begin to solve the problems of the world. You begin to solve the problems of self and of all humanity for the greatest, highest good of all. So, one of the very first reasons I’ve put together my Light Consciousness program was because I wanted to give people an opportunity to be a part of the solution, instead of being a part of the problem, and to be a part of the solution from a place of absolute presence. But in order to be a part of the solution from absolute presence, you need to master your Light Consciousness. So this 12 month program that I’ve put together I’ve kind of dubbed “activation school”. Activating you to your Light Consciousness, activating you to your presence, teaching you all that it is to be truly Light Conscious in every aspect of your life. Because if you can do life and if you can do business and if you can do your career the Light Conscious way, why would you do it any other way?